I love France. It was the first place abroad that my parents took me and from then on we holidayed there every year. On one such holiday, we took a day trip to La Rochelle and so almost 30 years later I decided to go back for a night. 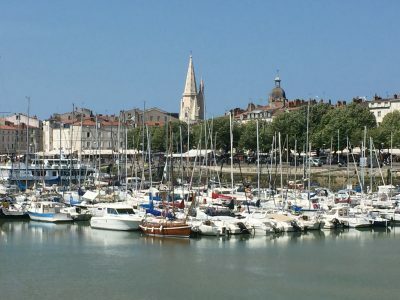 Located on the west coast of France, La Rochelle is perfect for a weekend away. It’s small enough to see the main sights in a short time but big enough to find plenty to do. In our short trip we focused on the history of the place and in particular its occupation during World War II. We learnt about the town’s experience from our visit to Le Bunker de la Rochelle (http://bunkerlarochelle9.wixsite.com/lebunkerdelarochelle), which, in the museum’s own words “opens its doors to a voyage through time”. 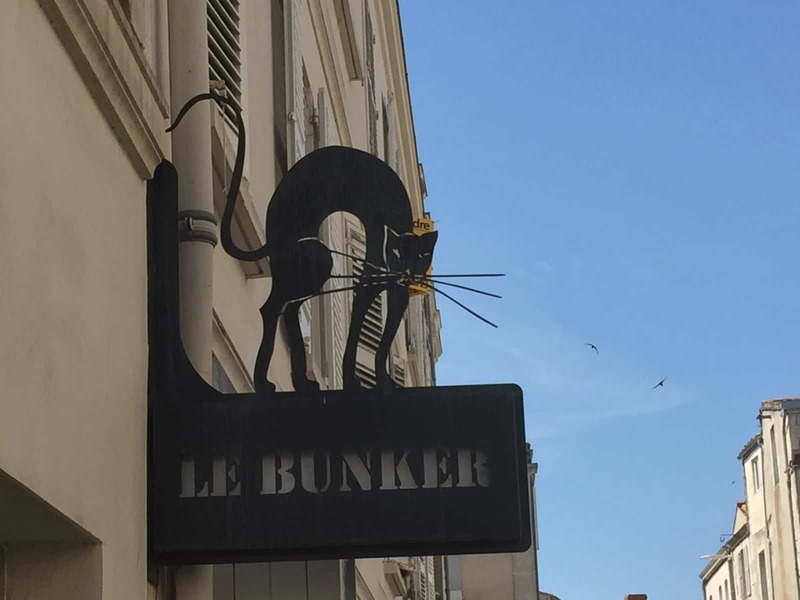 This can be found just a short walk from the market in a small side street, and where a caricature of a black cat hangs grandly over the entrance. The museum documents and shows – through written information and visual artefacts and photographs – how the town held strategic importance for Nazi Germany during the war. Its location on the Atlantic coast provided an ideal base from where they could deploy their U-boats (there are also other such bases along the coast – for example, Saint-Nazaire further north – that were used for the same purposes). They remained in the area until May 1945 when La Rochelle was liberated by Allied troops. We read how a German regiment had arrived in the city some five years earlier and some of the ways in which the city was affected: early on, it set about making its mark by removing the French flag flying over the town and hoisting the Nazi flag, and occupying key parts of the city. The Germans also decided to commandeer most of the local hotels and it was during the renovation of one of these in Hotel des Etrangers, in the early 1980s, that a bunker was found underneath; this had been built in 1941, to protect the Germans from Allied bombing raids, and it is here that Le Bunker can be found. 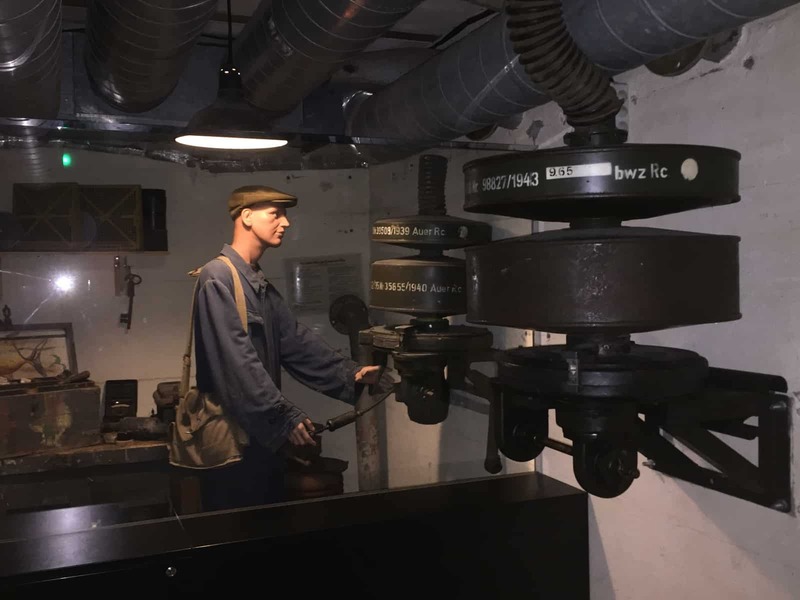 When I first walked into the bunker it felt really small and quite claustrophobic and I found it hard to envisage that around 60 men could live here at one time. However, as I started to work my way through and found that the bunker comprises a series of connecting rooms, I realised that it’s deceptively large (it’s actually 300 square metres overall). As I discovered all of the little rooms adjoining each other, I realised that it was built not just to cram large numbers of people in, but to be functional and a proper place to live and work in times of need: there were control rooms, offices, beds and washrooms, rooms where guns and ammunition were stashed, and even a couple of bars for entertainment. When you look around and take it all in, it’s incredible to think that this historical treasure trove had remained undiscovered underneath the hotel for four decades. 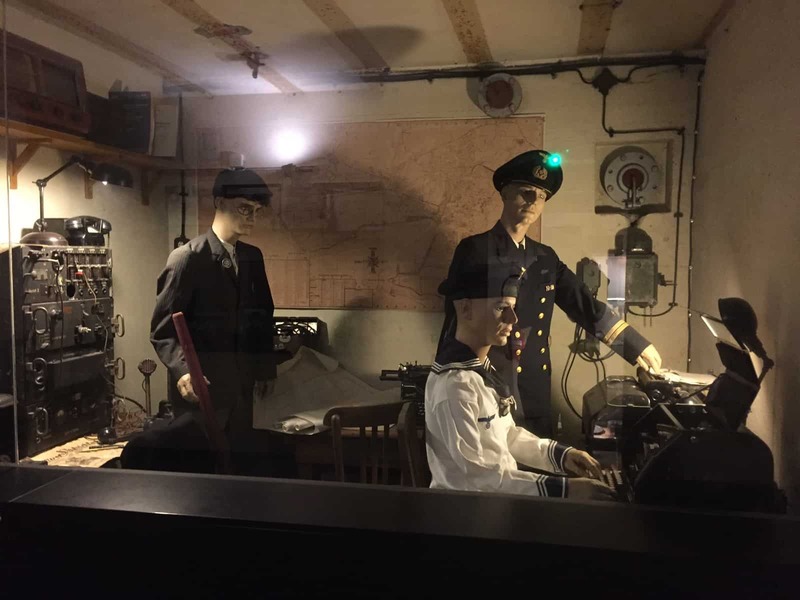 The detail in this small museum is quite phenomenal, but if you don’t speak French you don’t need to worry – the front desk will hand you an enormous folder full of interesting facts and figures for you to take with you as you stroll through the bunker. In addition, some of the rooms have been recreated with mannequins to evoke a greater sense of what life might have been like here, including the bar, which still remains as it was back in the 1940s. There is also a plethora of old photos to look at, a fascinating glimpse into the city at this time – it was particularly interesting to spot images of the port as it was then and compare it to the busy boulevard of restaurants and bars that now line the quayside and where we sat and ate dinner the night before. The only thing missing was the reason for the black cat: maybe it was just me, but I couldn’t find any explanation as to why this is the symbol of the museum; since returning home, I have, however, discovered (thanks to Wikipedia!) that this denotes one of the fleets of German submarines. It all makes sense now! La Rochelle was liberated in 1945, and despite its occupation the main old town luckily escaped Allied bombing. This explains its beauty and how, despite the fact that it’s now become more developed, it retains a sense of its original old charm. It’s a beautiful place to visit and makes for an easy, relaxing and fascinating weekend away. Sitting in the sun and sampling local French cheeses and wine, topped off with some fresh seafood, makes it near perfect. 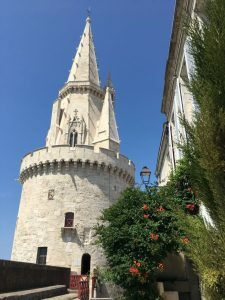 – Other things to see and do: There’s an attractive old town with a lively daily market set amongst the old cobbled streets; this takes you down to the port which is flanked by two imposing towers (La Tour Saint-Nicolas and La Tour de la Chaîne), with La Tour de la Lanterne nearby and the remains of the old city walls. All three towers can be visited individually for 6 euros or for 8.50 euros collectively. We tried to do this but weren’t successful, so my advice would be to avoid visiting at lunchtime. 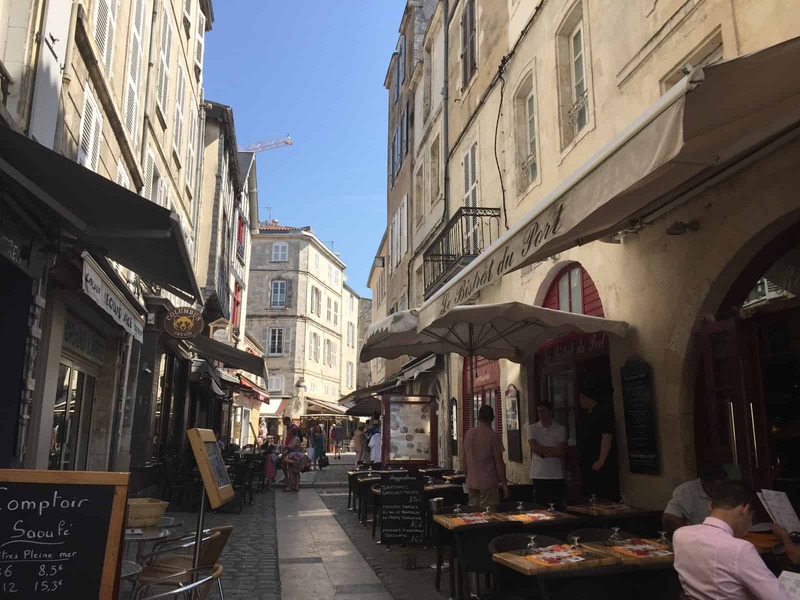 There is an impressive selection of cafes and bars and outdoor terraces in the old town which are great places to people watch (and the seafood’s not bad either! ); there is also a small beach that leads you away from the port, around the coast and past lovely green open spaces, ideal for picnicking in the summer sun. The town is a great base for a relaxing get away and or to get fit. Sailing and windsurfing are big activities here, the city’s location on the Atlantic coast providing a perfect spot for this. 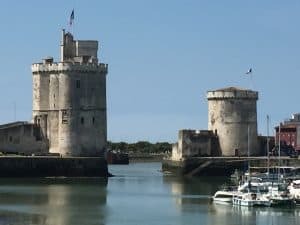 You can take boat trips to other neighbouring islands, or around Fort Boyard, (for those that remember), the setting for the TV challenge show of the same name, broadcast from the 1990s onwards. The port area is very compact and so it’s easy to find the spots where the boat trips run from. However, if you’re only in La Rochelle for a short time, it would probably be wise to book ahead to make sure you’re not disappointed. If cycling is more your thing, there are hire shops where you can take out bikes. In the main town itself there are plenty of dedicated cycle lanes to make use of or you could opt to hop across the bridge to the Ile de Re, a small island off the coast of La Rochelle, where there are more than 100 km of flat cycle lanes that connect the towns and villages. 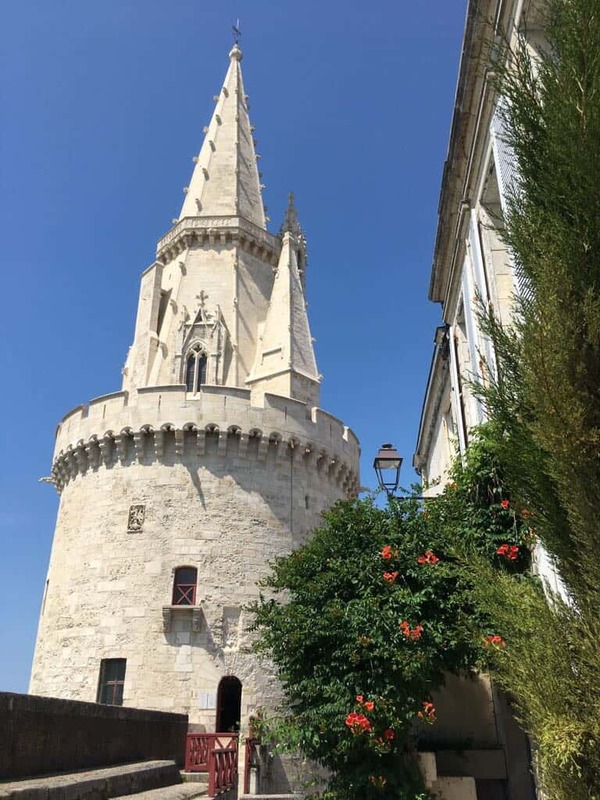 You can reach the Ile de Re easily and in a short time by either bus, train or ferry boat so this is perfectly feasible in a short break (see http://www.holidays-iledere.co.uk for further information). For children, or for those rainy days, there is an aquarium just a short walk from the main port area. – Getting there: Direct flights are available from London with EasyJet and Ryanair, from Southampton with Flybe and from Dublin with Ryanair. Direct flights can also be found between La Rochelle and Belgium and Portugal; for all, flights are more numerous in the summer season. The airport is unbelievably close to the city centre so you can catch a taxi or take the cheaper public bus which runs from right outside the terminal building. This drops you at Place de Verdun, a short walk from the old town and port.